WhatsApp is a very popular communications app around the world, and especially strong in Brazil. 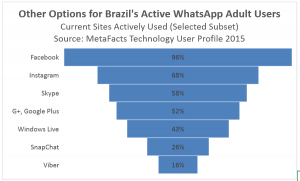 According to the most recent wave of our Technology User Profile survey, 82% of Brazil’s connected adults have used WhatsApp in the prior 30 days. While this means 70.4 million adults are affected, Brazil’s active WhatsApp users have other options. 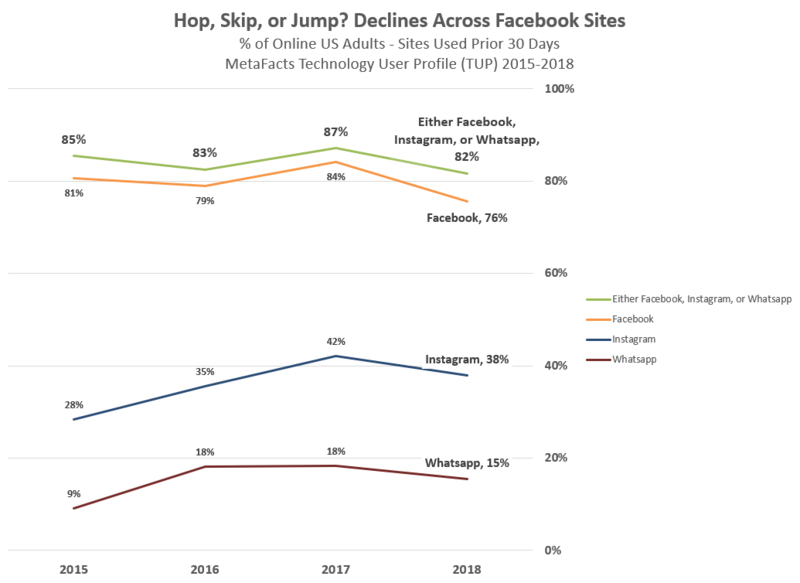 Among the other sites and apps which are actively used for communication and networking, 68% use InstaGram and nearly six in ten (58%) already actively use Skype. Another quarter (26%) use SnapChat and one-in-six (16%) use Viber. Brazilian WhatsApp users are already in a good position to use other options. Only 1% of WhatsApp users are only using WhatsApp and not using Instagram, Skype, G+, SnapChat, or Viber. 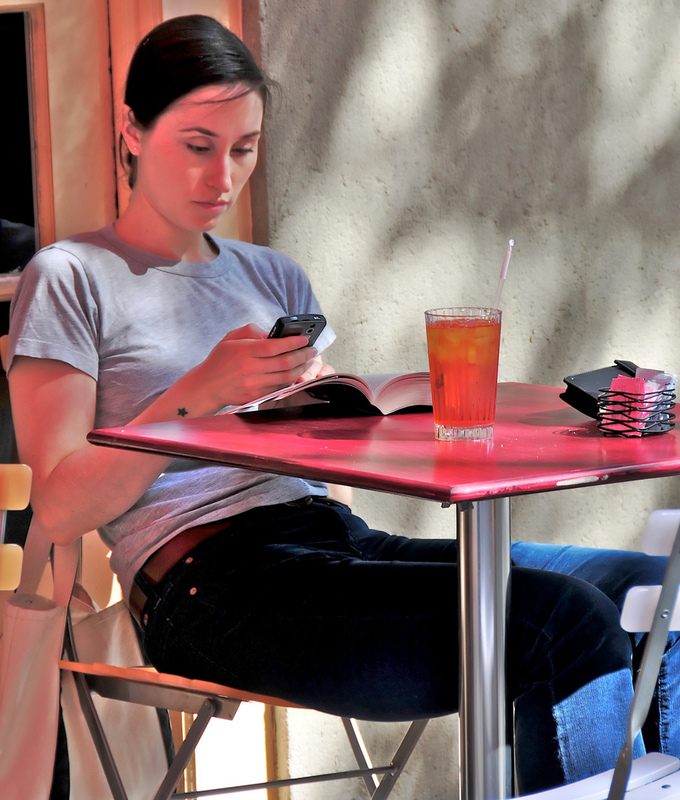 Furthermore, while 81% of WhatsApp users use a Smartphone, not all do. WhatsApp is also accessible on PCs. Among the many devices Brazilian WhatsApp adults regularly use, 98% access a PC, and many use more than one. Eight-one percent use 2 or more PCs. Just under half (47%) have a Tablet PC, with Android tablets outnumbering Apple’s iPads or Tablets running Windows. With WhatsApp’s broad popularity, it’s not as if any particular Smartphone carrier is being singled out. Each carrier’s share among WhatsApp’s customer base is nearly identical to the total base, with TIM having twice the share of any other carrier, Claro (Embratel, NET Serviços) in second place, then followed by Oi SA (Telemar Norte Leste, Brasil Telecom) and Telefônica. It’s also not as if these Brazilians will have their communication stymied. Ninety percent of WhatsApp users regularly send/receive personal email, 85% text message, 83% make/receive personal phone calls, and 49% participate in a personal web-based group meeting. Although legal events like these can cause big disruptions, tech users are resilient, especially Brazilians. Other communication-rich apps and sites such as Skype, G+, SnapChat and Viber will continue to increase their efforts to claim any bewildered or befuddled WhatsApp users. Meanwhile, Brazilian tech users will continue to juggle their many devices as well as the many ways that they already communicate. 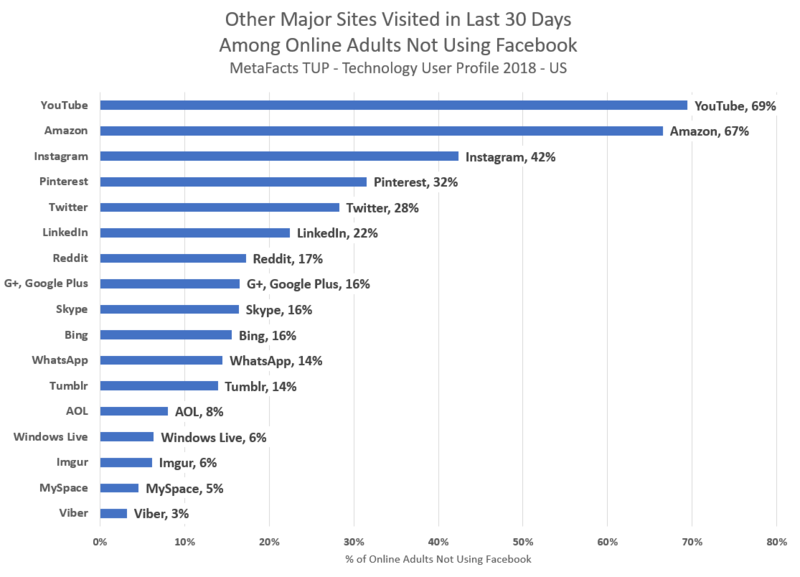 This TUPdate includes a complimentary brief summary from the Technology User Profile survey of adults throughout the US, UK, France, Brazil, and China. The results are based on a multi-country survey of over 10,000 representative respondents conducted by MetaFacts. Current TUP subscribers can obtain additional analysis and supporting datasets at a substantial discount. To license the full market research results, contact MetaFacts.